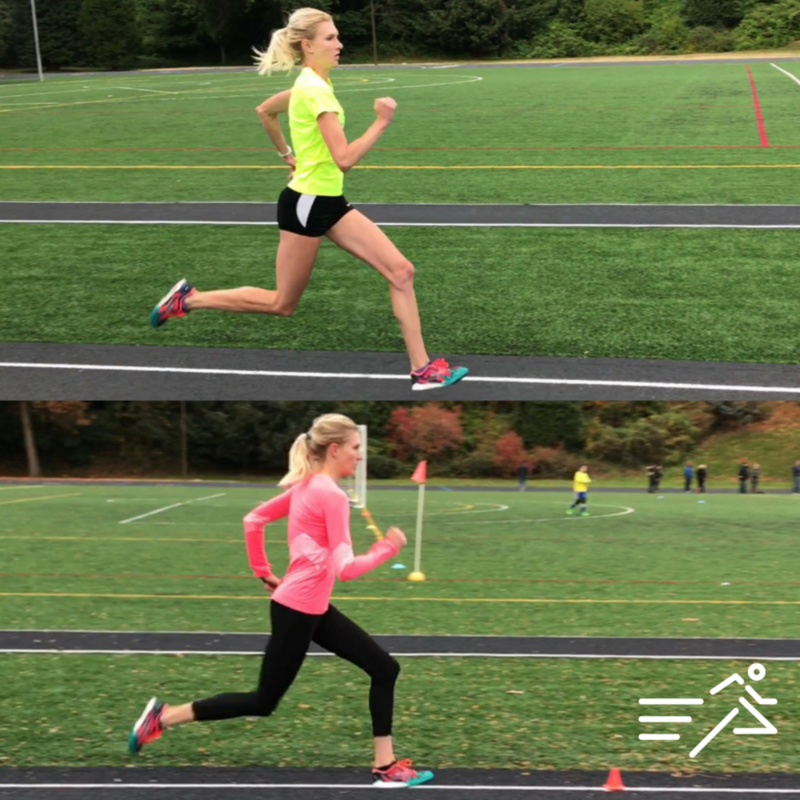 HPW ELITE athlete Eleanor Fulton's quality of movement is drastically improved from July 2017 (top) compared to November 2017 (bottom). Some sprint coaches call it one's form, technique, or biomechanics. I simply call it How You Move. How we move matters. Once I didn't think it was all that critical, then recently, I realized my grave error. This past summer several HPW ELITE athletes I coached were hit in rapid succession with a wave of ill-timed and sudden injuries. I couldn't believe it. We employed every injury minimization tactic available from numerous passive to active modalities and interventions. I was dumbstruck. For about ten days I obsessed over the reasons, my research lasting 10 hours some nights. Then one day I was speaking with the world-renowned coach and mentor Dan Pfaff, and it struck me like a stack of bricks...all the work we did was useless. Why? Because when the athletes ran, they loaded their joints, tendons, ligaments, and muscles poorly and that caused gross imbalances which led inevitably to injury. My face turned red. How foolish could I have been? So the next month was a deep dive on all things related to running mechanics and athletic movements. It was a self-education tour de force. Luckily, I had a cohort of three coaches, Pfaff, Stuart McMillan, and Vern Gambetta who I could ask to sniff test everything I was exposing myself to. They would call junk on the suspect information I discovered and encourage me to keep pursuing the knowledge which was sound and worthwhile. My efforts finally led me to a video of a clinic by British sprint coach Jonas Dodoo. Here is the link. It is about an hour long. I've watched it at least 8 times. And have about 25 pages of notes on it. The insights he offers are many. But I took away 5 things which I teach my athletes and have really made an impact to better how they move. Jonas' video articulated in a concise and methodical manner everything I was studying at the time, he made it all click for me. I was able to take the learnings from my research coupled with this video and translate it to improved movement quality in HPW ELITE athletes. I am aware that I still possess a very rudimentary understanding, but at least I am not totally blind anymore. It is something I keep working to get better at and I encourage you to do as well. Start by watching Jonas' video 3 or 4 times and take notes. It is filled with quality, basic information. There is a lot of useful insights presented and it can't be fully absorbed by the neophyte on the first viewing or second. Once you feel comfortable with the material, test it out on yourself while running. See if you can pick it up and feel a difference. If so, ask one or two athletes who are open minded to experiment with translating your running cues to how they move. Record video of them running on your phone and play it back immediately so they can see. We learn best by doing and with real time feedback. Thus, the video record and reply is key. After that, if you deem it worthwhile, slowly, steadily convert your entire team. That is what I did, and it has worked well thus far, 6 months into our ever evolving experiment.